ATAG Benelux is a market leading supplier of kitchen appliances with over 2.500 resellers in the Benelux. The Dutch company sells under the brands ATAG, Pelgrim, ETNA and ASKO. All brands have a high brand awareness in the Benelux. ATAG sells its products through kitchen & electronics retailers and through the kitchen industry. As ATAG Benelux sells its products through an indirect channel, all resellers manage and control their own websites. ATAG, therefore, has no possibility to distribute its product and marketing content with their local customer network of resellers. ATAG Benelux has lots of beautiful product content and videos, while the resellers are having difficulties to fulfil the online information need of the consumer. The challenge for Virtual Retail was to find a solution to create a large online marketing reach for ATAG Benelux while also activating the consumer to create more physical store traffic for ATAG’s resellers. The online presentation is crucial in the consumers’ decision whether or not to visit a showroom. Therefore, Virtual Retail created a virtual showroom using 360 virtual tours for ATAG dealers integrated on their website. This way we created an optimal online presentation platform for the reseller to attract more visitors to their showroom. 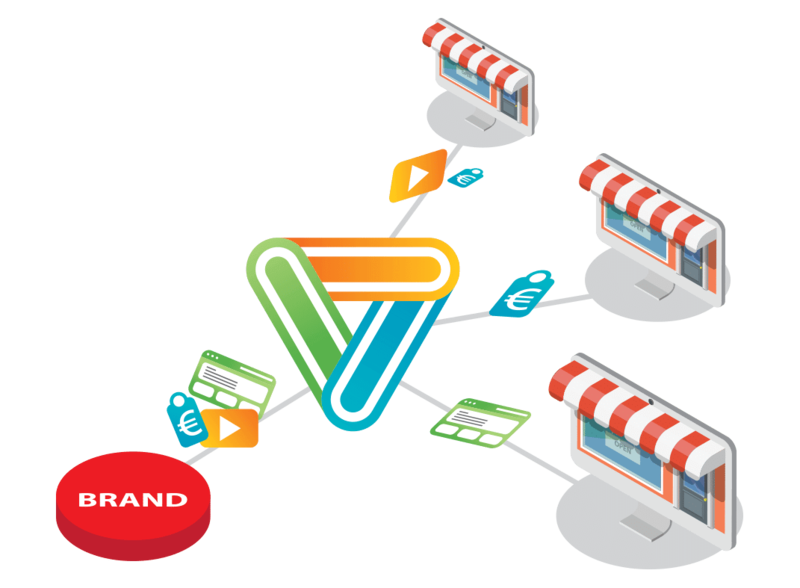 Using the Virtual Retail Platform we can easily collect the branded ATAG product & video content and locally distribute it to the digital showrooms of the resellers. This way we create a large online marketing reach for ATAG Benelux and unburden the resellers to keep their website up-to-date. Via our dashboard, ATAG has insight into the results of their through-channel marketing.